Do you recall the flat stone that you and Eliza brought back to me from Tibet? It has an inscription on it. I’m wondering if it has the same sort of mantra that you are seeing on the hillsides. Yup, same mantra. It’s the one seen on 90% of carved stones, hillsides and anywhere else, really. Fascinating, Geoff. It’s curious but I suppose not surprising that the Chinese seem to have adopted the same way to lay claim to land and place. 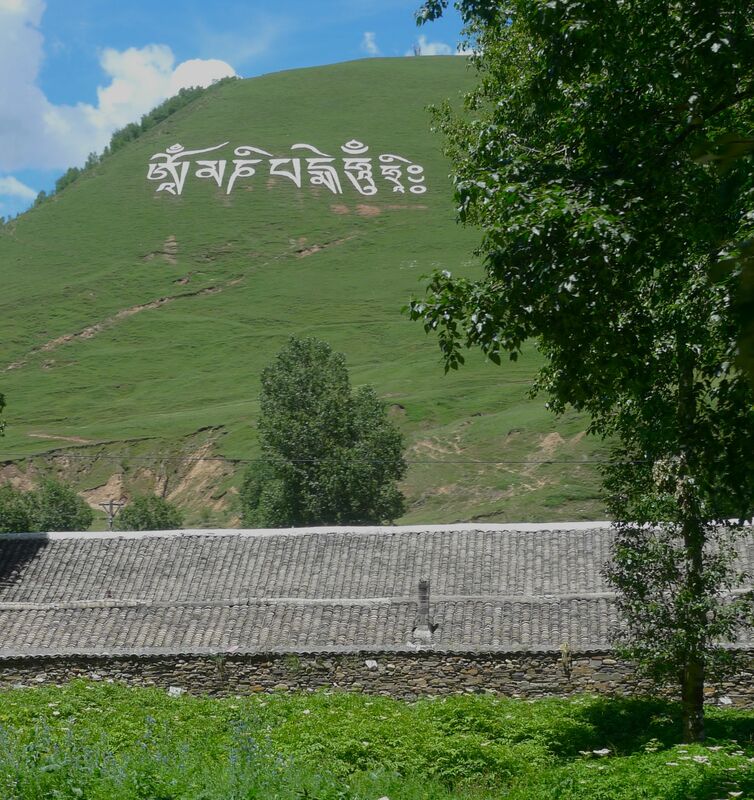 I saw a few of the large mantras on hill sides last year, but nothing in Chinese (that I noticed).